Does the UP2-UEFI support to switch off PCIe spread spectrum? We are working on a very dense FPGA server for the cloud https://www.zurich.ibm.com/cci/cloudFPGA/. Networking on board uses an Intel FM6000 series Ethernet switch which connects to PCIe (spread spectrum turned off only mode). The UP2 board would perfectly fit into the chassis beside the FPGAs to use it as a management module for the Intel FM6000. I'd like to could connect to one of the PCIe lanes routed to the M.2 connector (with an existing adapter). 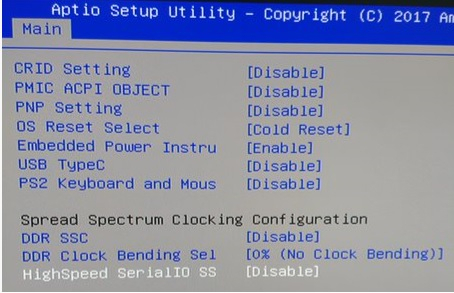 This requires the UP2-UEFI supports switching PCI spread spectrum off explicitly. Spread spectrum usually isn't off by default.